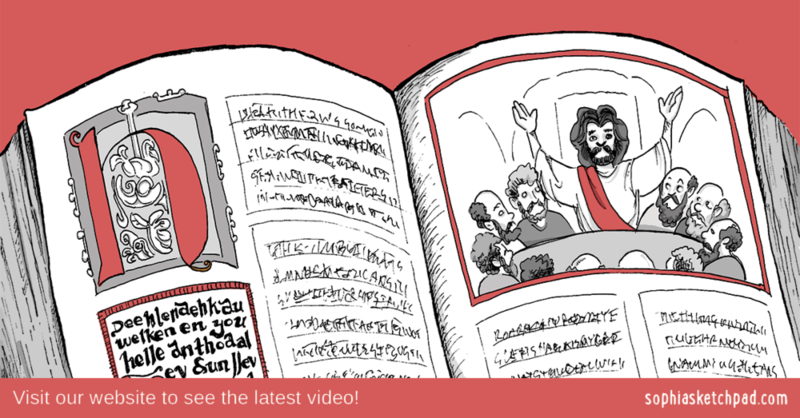 This popular "whiteboard" video series started when Sophia Institute Press was looking for an innovative and relevant tool to help religion teachers in the classroom. Sophia reached out to Coronation Media, who in turn reached out to me for help with both the video and associated promo material. The combination of my drawing talent and Coronation's editing/animation skills has proven to be a successful one, as evidenced by the 200k+ views on Youtube of the first video alone.